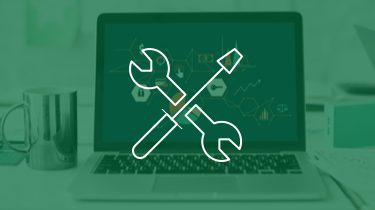 This post is the beginning of our Real Estate SEO 101 curriculum, where anyone can come to learn what SEO is, why it’s powerful, and how to get their website ranking. Welcome! Whether you’re doing apartments, whether you’re looking for motivated sellers, cash buyers, private lenders, note sellers — even if you’re a real estate agent — the whole thing, you need to understand search engine optimization and how it can change your business for the better. Real Estate SEO: What is Search Engine Optimization? So, what is SEO (search engine optimization)? To break it down in simple terms, by giving Google and other search engines what they want, Google will reward you with higher rankings. You see, each search engine — Google, Yahoo, Bing, etc — has an algorithm that crawls online web pages to determine which results to show people when they search for any given keyword phrase (i.e. the words they type into the search engine). 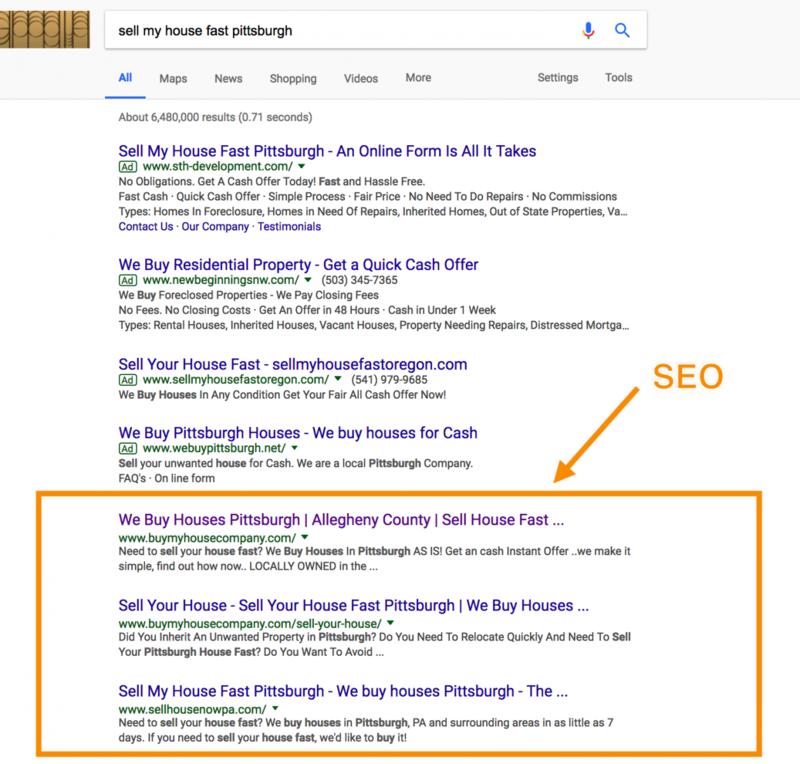 By “optimizing” your own real estate web page(s) for a search engine’s algorithm (usually Google since it’s the biggest), you can rank for high-value phrases and drive passive traffic to your website. Carrot members, for instance, often rank for market-specific phrases. Here’s the best part: that algorithm which determines where you and every other website ranks in Google — experts already know what factors that algorithm considers. Partly, they know because of testing and experimentation. And partly, they know because Google consistently releases updates about how their algorithm interacts with websites and online content. Note: I’ve transitioned from talking about search engines in general to talking about Google specifically. This is because Google accounts for about 93% of the search engine traffic online. It’s the heaviest-hitting player in the search engine world and the one who’s algorithm you should most seriously consider when crafting your SEO strategy. Which means you can too. But it’s important to note the difference between working to please the search engines… and trying to trick them. One will get you rankings. The other will get you banned. Black hat SEO and white hat SEO, are basically just search engine marketing jargon for a bad way to build rankings and a good way to build rankings. Black hat is gaming the system. It’s trying to trick Google’s algorithm into giving you higher rankings. While this will sometimes work over the short run, it is likely to get your website into trouble when Google finds out what you’re doing. You can learn more about black hat SEO no-nos over here. White Hat SEO Strategy – Maintaining Your Integrity. White hat SEO strategies, on the other hand, build rankings the way that Google wants you to. That’s the way that we work at Carrot. That’s the way we’re going to train you, is on white hat strategies. With white hat SEO, there’s less risk and more opportunity. 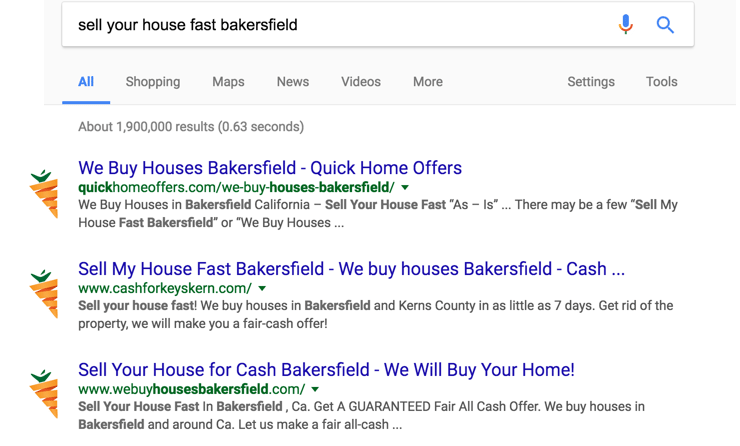 As an example, if you go to Google and type up phrases like “Sell my house fast Pittsburgh,” or “Sell my house fast Baltimore,” or “Sell my house fast Birmingham,” or “We buy houses Bakersfield,” or hundreds of other phrases. 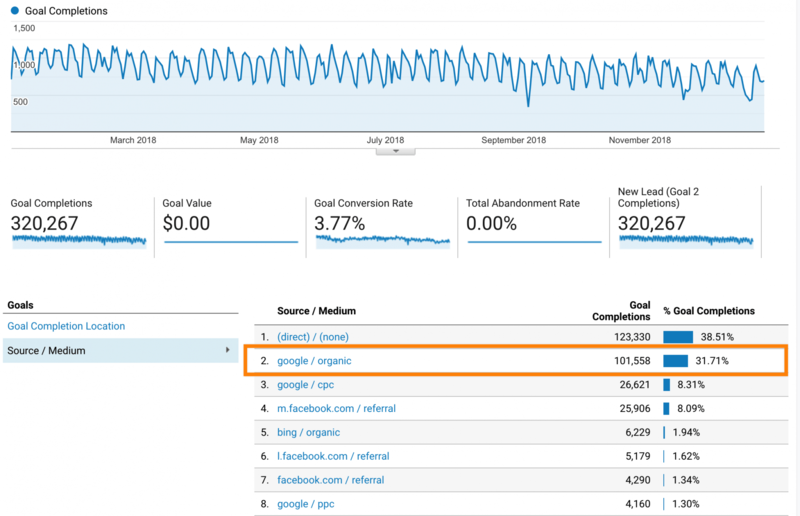 You’ll see Carrot members popping up very high on the search rankings, leveraging their training, leveraging our search engine optimization tools, and they’re getting more leads. For SEO, search engine optimization, we’re focusing on the section in the Google search results and the Bing search results and the Yahoo search results. But mainly Google. We’re focusing on the area that’s in the orange box. Up above the orange box, you can see the parts where it says, “Ad.” Those are ads that people paid to be there. The part in the orange box is called the organic search listings. That’s where, with search engine optimization, with tweaking some things and following Carrot training, you’re going to be able to get there in your market when you follow our training and our system. Inbound Marketing for Real Estate – Draw Clients to You. One of the reasons that we really love search engine optimization is inbound real estate marketing. Inbound marketing is essentially when people go online, go to Google, they type up questions or they type up problems. They’re typing up something that they want to be solved and then they land on your website. They land on a website that is ranked high in Google. There was a study done by HubSpot who found that 28% of searches for something nearby (local SEO) resulted in a purchase. Also, 78% of local mobile searches result in offline purchases. So, local SEO is very powerful. 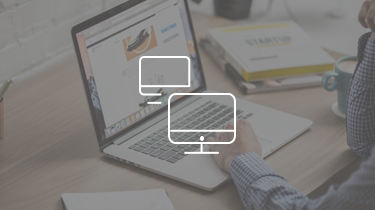 Direct traffic is basically people who already knew about your website. They already knew your website name. Maybe they got it through your business card, maybe they got it off of a billboard, direct mail, or something like that. Direct traffic also performs very well because they’re already familiar with you. They already know about you. Then on down the line you’ve got paid search, Google AdWords, they go through PPC, and it’s all still insanely effective. The reason we love search engine optimization so much is that of this higher lead to customer close ratio, you have a higher quality lead. You tend to close more leads per the leads that you’re getting than versus outbound marketing or things like that. For example, here are the lead volume numbers accumulated by Carrot members in 2018 (not counting phone calls.) 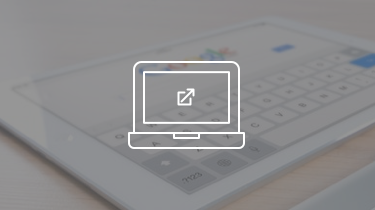 31.71% of the leads that came into our Carrot member websites were from Google organic search traffic. This drives home the importance of good SEO. 101,000 Leads Coming From Organic in 2018! If you’re closing one out of every 40 leads into a deal, or into a listing, from your radio ads, with SEO you might close one out of every 10, one out of every 15. You don’t have to get as many leads to close the same amount of deals, which is why we love SEO. Every day people are raising their hands for help by going to Google and other search engines and they’re searching for solutions to their problems. What search engine optimization and inbound online marketing do, is the equivalent of a seller or a buyer or a private lender or a note seller going and knocking on your door and they’re asking you for help. Rather than the other way around, rather than you going to their door and knocking on it and saying, “Hey, do you need to sell your house,” or, “Hey, are you looking for properties?”, interrupting their thought process. Inbound marketing joins them in their thought process. They’re coming to you. They’re reaching out and asking you for help and it really puts you in a position of power. Inbound marketing, specifically with search engine optimization, is the most remarkable form of marketing ever created because the people are coming to you, and it really puts the prospect in a whole different mindset when they are the ones who reached out to you rather than the other way around. 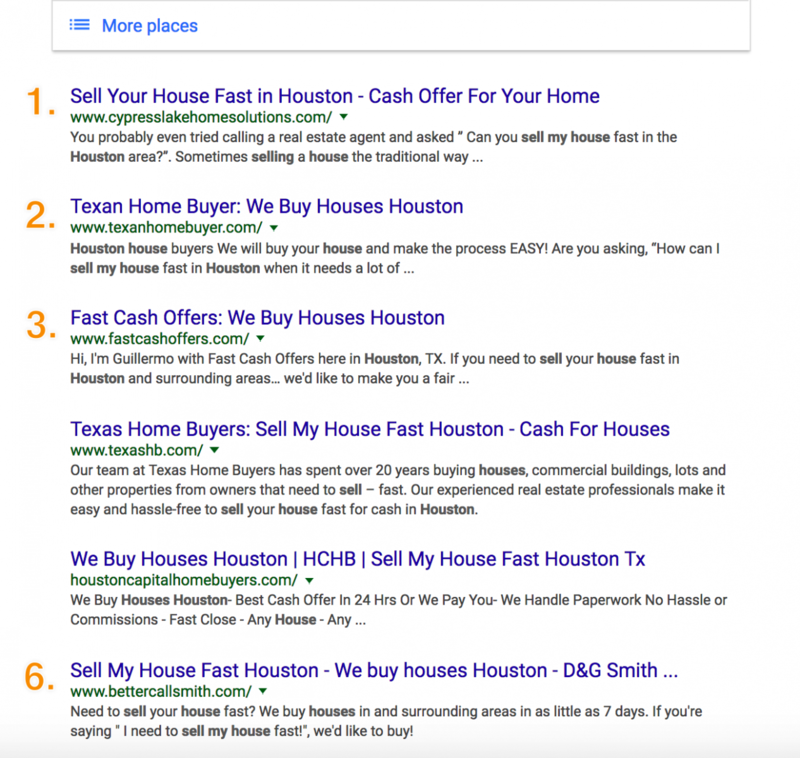 Carrot Case Study – Does Real Estate SEO Really Work? A common question is “Does SEO work, can it actually close deals, what’s the ROI of search engine optimization?” We have a ton of case studies like this but I’m just going to point out this one. Jack Morris. You’ve heard people say you can’t generate consistent deals with SEO? Jack of Jack Buys Houses in Orlando, FL… he closes 3-5 deals a month in Florida almost exclusively through his search engine optimization efforts. He made a mental commitment to make SEO work in his market. SEO, in the right markets, when there’s enough search volume can really turn into great profits. Whether you’re looking for buyers, sellers, lenders, the whole thing. As of right now, Carrot members are pulling in a little over 48,000 leads per month. That doesn’t include phone call leads, people who are landing on your websites and calling on their phones. The system’s really effective and it’s really exciting seeing you jumping into SEO and learning what you can do to increase your own rankings in any city that you’re in. In Baltimore, DC, Birmingham, Bakersfield, Houston, Oahu, Salt Lake, even smaller cities. In smaller cities, it’s easier to rank well with SEO. But bigger cities we have customers all across the country ranking very well, very high for SEO, with their Carrot websites, using our SEO training that you’re going through right now. 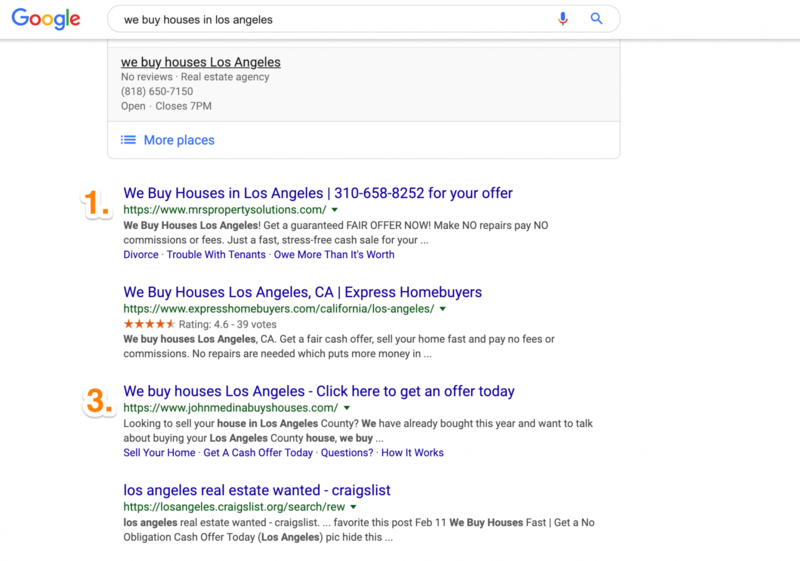 For example, for the search phrase “we buy houses in Los Angeles” Carrot members are ranking #1 and #3 in organic results. If you find another member in your market who is already ranking on page one, don’t panic. We have markets where there are four or five Carrot members on page one, all getting better results than they would be getting without Carrot, and they’re sitting there battling it out, but they would never have even gotten those results without SEO training and our system. This works in any market, no matter how large or small. Like we mentioned, Carrot members currently hold more page one rankings and top five rankings on search phrases that matter than any other website platform for real estate. That’s an empowering thing for you reading the post or watching the SEO training video because it shows you that you have a powerful tool at your fingertips and we’re here to help you get there and get the same results as other people in those markets if you implement the system and work it. Let’s get you there, too. Whether you’re someone who’s really diving into SEO for the first time, or even whether you’re advanced. We have you covered. We’re going to give you the strategies that are making it work really well for us also. We’re going to give you very specific action steps, so you don’t need to be an SEO expert or a techie to get great results with search engine optimization. You just need to follow the steps, stick with the plan, and leverage our process and reach out to us when you need help. What’s coming next in the rest of this SEO 101 training, is we’re going to dive into exactly why SEO is so darn powerful and then some different factors that Google looks for to help your website rank higher. Here’s what we’ll discuss in the upcoming lessons. SEO 101 – Lesson 3: The Basics of On-Page SEO – What Factors Does Google Use to Rank Your Website? SEO 101 – Lesson 8: How Long Will your Website Take to Rank? SEO 101 is not meant to be completely comprehensive, but to provide beginners to SEO with a manageable starting place that will get them taking action and seeing results as quickly as possible. Further depth and detail will be included in our future SEO 201 lessons. Keep your eyes peeled for the next lesson! 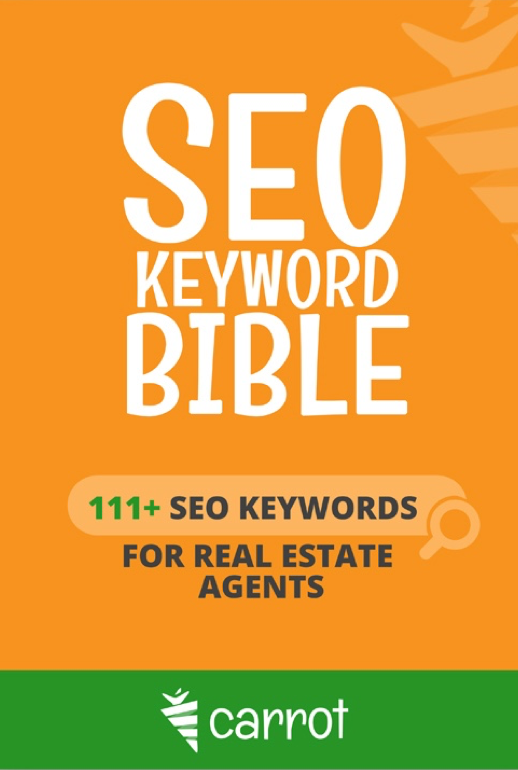 See the top 111+ SEO keywords research shows produce 80% of the leads top agents get online today.